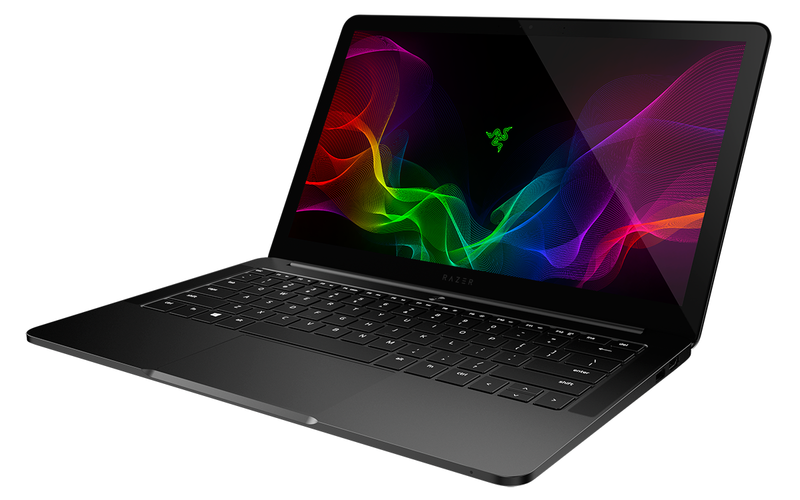 Razer may be a relative newcomer to the laptop space, yet in the past five years it has developed an award-winning portfolio of high-end Blade PCs and now serves as a go-to manufacturer for many enthusiast users. 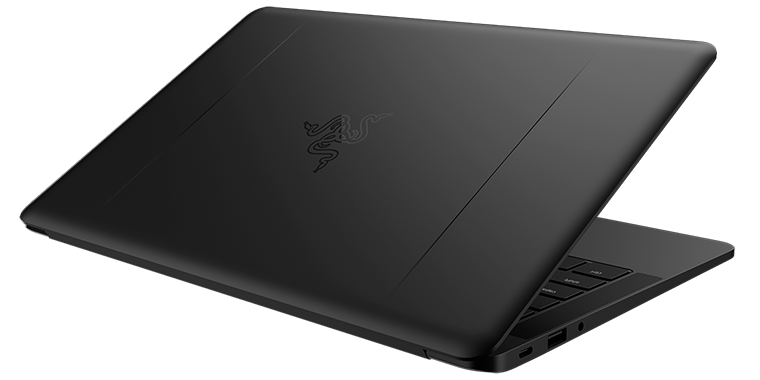 Blade Pro is an effective desktop replacement, the 14in Blade strikes a fine balance between Ultrabook and gaming machine, while Blade Stealth packs a performance punch in a sleek 13.3in profile. We came away impressed with the latter in a detailed August 2017 review and today we have our hands on a 2018 quad-core refresh finished in gunmetal grey and priced at a cool £1,700. 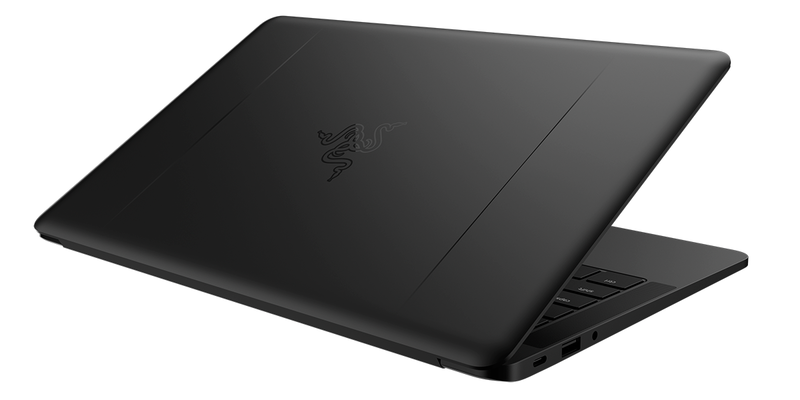 That's one heck of a fee but it's worth pointing out that this is one of the most expensive Blade Stealth configurations; the same machine in standard black, and with a smaller SSD, is available for £1,500. So is the gunmetal specification worth the extra? We're of the opinion it absolutely is. One of our gripes regarding Razer's default black finish is that it happens to be a fingerprint magnet that is all too keen to highlight grime and dirt. Thankfully, the matte gunmetal option is altogether more forgiving. We've been using our review sample for the past week and, though it isn't entirely fingerprint-proof, we haven't felt the need to wipe it down at regular intervals, plus there are other more subtle benefits. Razer's typically dark aesthetic is good for standing out from the crowd, but the gunmetal model in our estimation strikes a better balance - it's still eye-catching, but less gaudy if you don't want to be immediately recognised as a gamer. 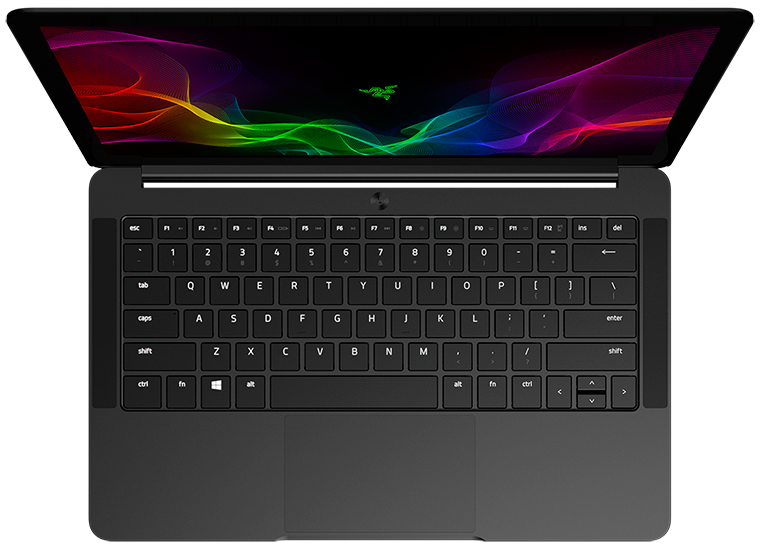 With that in mind, the bright green backlit Razer logo on the lid has been swapped for a tone-on-tone variant that's far more subtle, and the keyboard no longer represents all the colours of the rainbow. Chroma fans might be shedding a tear or two, but we quite like the fact that the gunmetal Blade Stealth keys are backlit in just a nice, cool white. Aside from the colour, it's difficult to tell the chassis apart from last year's model. The new Blade Stealth is a hair thicker at 13.8mm (vs. 13.1mm) and a fraction heavier at 1.35kg (vs. 1.33kg), but it remains a reasonably thin-and-light device that's easy to transport or slip inside a rucksack. 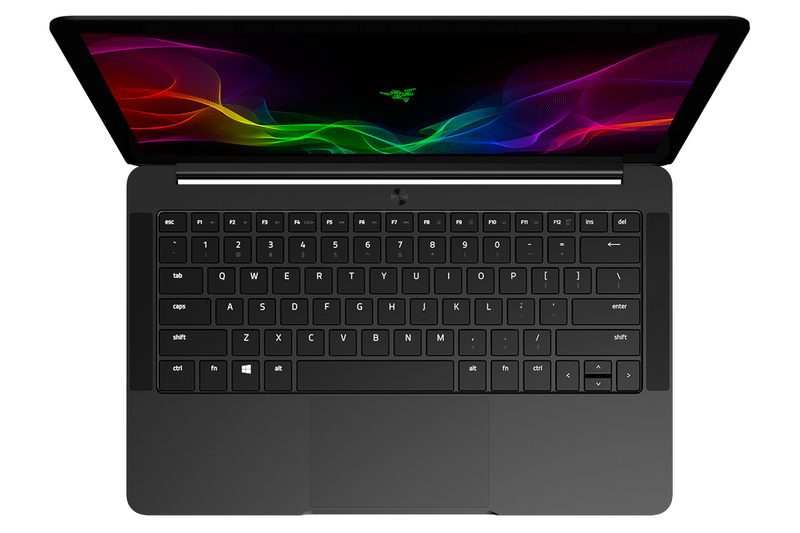 Build quality hasn't changed, either, which is to say Razer still employs a CNC-milled aluminium chassis that feels both luxurious to the touch and wonderfully rigid. The key change, of course, is under the hood, with Blade Stealth making the move to an 8th Gen Intel processor going by the name of Core i7-8550U. The quad-core, hyper-threaded CPU can be viewed as a meaningful upgrade over the dual-core chip in last year's machine, and the 15W part comes armed with onboard UHD 620 graphics and the ability to boost CPU speeds of up to 4GHz. Joining the new CPU is a familiar supporting cast. There's 16GB of LPDDR3 memory operating at a slightly quicker 2,133MHz, storage on our £1,700 review sample is provided by a 512GB Samsung M.2 SSD, and though Razer reckons battery life has been improved to "up to 10 hours of mobility," the 54Wh integrated battery pack remains unchanged. Confirming that this is a refresh rather than an overhaul, ports are as before, with USB 3.0 and HDMI on the right, plus audio, USB 3.0 and Thunderbolt 3 Type-C on the left. The 65W external power supply connects via Type-C, wireless connectivity is provided by a gaming-optimised Killer 1535, and surprisingly at this price point, there's still no card reader while the integrated webcam remains a basic 720p affair without support for niceties such as Windows Hello. The star of the show, arguably, is a 13.3in QHD+ (3,200x1,800) touchscreen IGZO display. 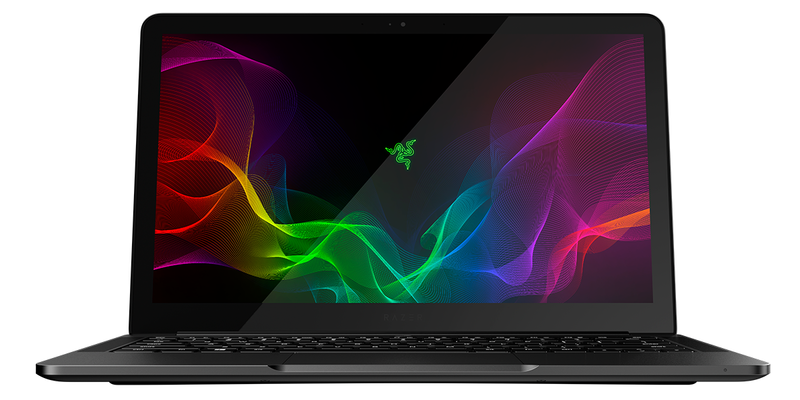 Razer's bezels are by no means the thinnest in the business, and the glossy finish does fall foul of reflections, but this remains a bright, crisp and vivid panel that responds well to the touch and benefits from wide viewing angles. An effective choice for multimedia use, and so too are the stereo speakers that straddle the keyboard and belie their size with a startling amount of volume. An admirable machine, though if we're nitpicking, the keyboard and trackpad are good rather than great. Don't be worried by the pictured layout - UK models do come equipped with a double-height Enter key and backslash in the right place - but be prepared for a shallow action that leaves the keys falling somewhat abrupt. The precision trackpad, while well-sized and smooth to the touch, can be a little finickity in its out-the-box configuration and we found ourselves having to turn down sensitivity in order to prevent unwanted clicks. All things considered, it's easy to see the appeal. 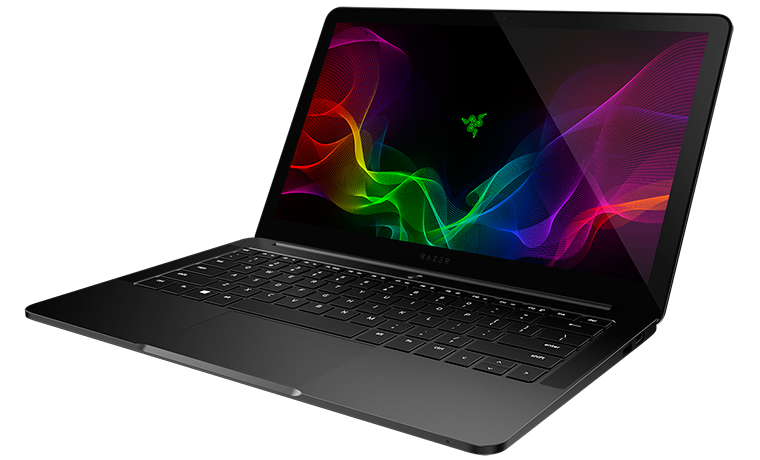 Razer's design aesthetic can be described as MacBook meets enthusiast, the internal hardware now flaunts quad-core credentials, and the 13.3in screen is a treat. One other potential attraction is the new-and-improved Core v2 external graphics enclosure, which can transform Blade Stealth into a serious gaming PC via the addition of a dedicated graphics card. We'll be putting Core v2 through its paces in the very near future, but in the meantime, let's see what the quad-core Stealth can do in our battery of benchmarks.